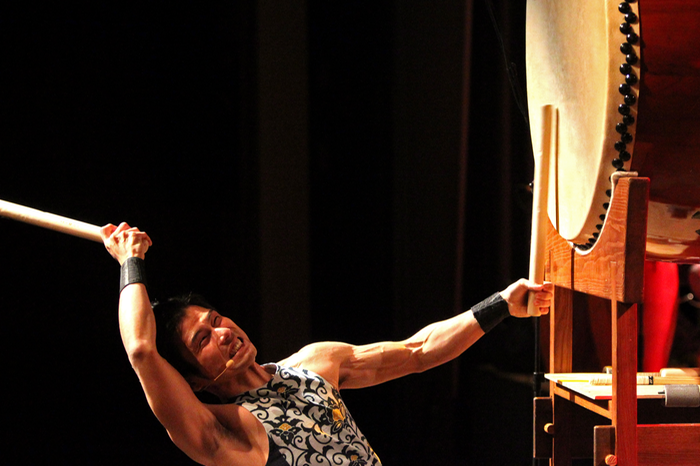 Since 1999 Takuya Taniguchi is musical director and composer of the renowned Japanese Taiko ensemble “Tenryu Daiko”. In 2002 he won the Vienna Special Award at the Viennese World Youth Music Festival. In 2003 he was chosen by the great leading master Eitetsu Hayashi to join his ensemble “Fu-un no Kai”. 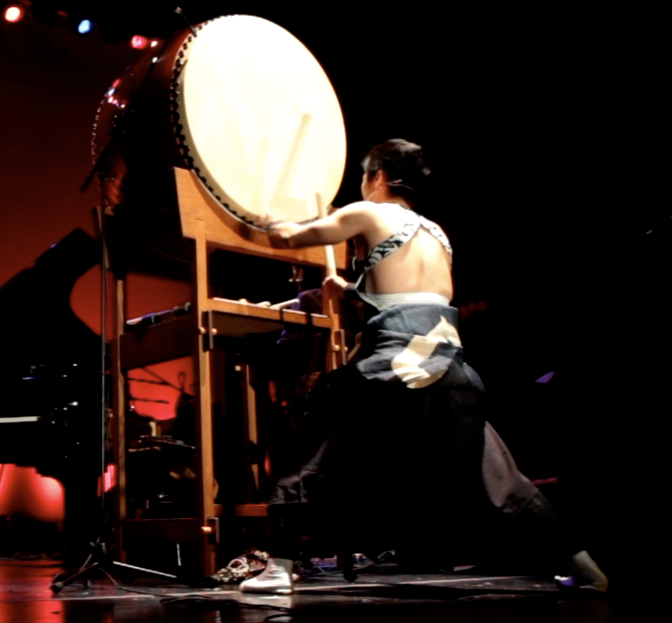 The special appeal of his performance stems from the range of his artistry from breathtakingly powerful and athletic drumming on the giant Odaiko to his gentle and poetic songs.